Agent Orange has caused reproductive problems, birth defects, cancer and other diseases in affected people on both sides of the war. 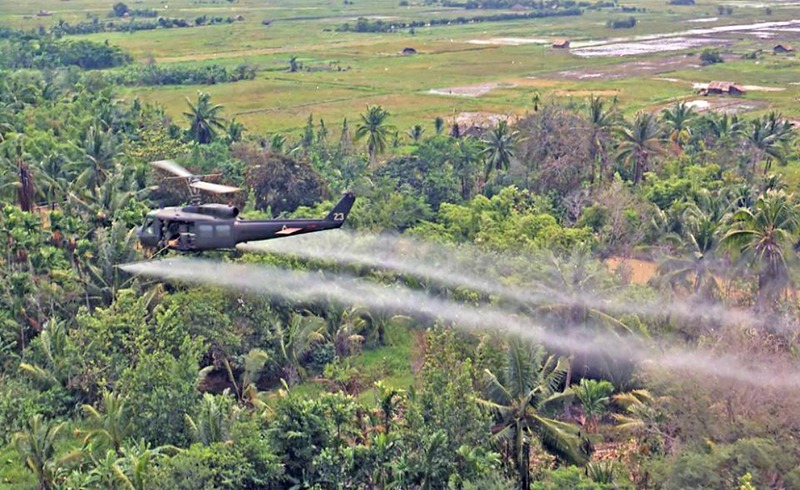 Between 1961 and 1971, the US Army sprayed some 80 million liters of the defoliant, containing 366 kilograms of the highly toxic dioxin, over 30,000 square miles of Southern Vietnam. C Troop 1/9th operated in many areas of the jungle that was sprayed by Agent Orange. At the time we had no idea how serious being exposed to it could be. In the early seventies, I decided to get tested for Agent Orange exposure. I drove down to the VA Hospital in Omaha where they checked my vitals, took an x-ray of my chest and shoved me out the door. Thanks for writing about your journey. My dad was a veteran and passed away from lung cancer that they determined was a direct result to exposure to Agent Orange. People don’t understand that it was a very real, very dangerous chemical that is still killing people to this day. My dad never talked about his time over there and I am left wondering what he had to go through. The pictures and paperwork he left behind from that time astonish me. Keep up the writing, because in some small way it helps me get over the grief of losing my dad 5 years ago. him again GOD BLESS YOU. I would also like to add that my dad was at Fort Knox, KY at about the same time you were. I was wondering if you would be willing to give me a little feedback about some of the things he did (I am not keen on the lingo of the paperwork)? I guess I am just trying to learn more about my dad that I will never get the chance to otherwise. Thanks again. I am so sorry to hear about your father. Back when your father returned from the war there seemed to be sort of a cover-up about the effects of Agent Orange exposure. Like many war veterans, your father chose to keep his war experiences to himself, and I understand you wanting to know more about what he did in the war. If you can tell me what his MOS (Military Occupational Specialty) was and perhaps what Unit, he served with in Nam, I could help you understand what he did in Vietnam. I have a daughter named Jill, and she is the one that suggested that I write a blog about my Vietnam experiences. Once I got started writing I realized it was actually a form of therapy for myself. Thoughts I’ve lived with about Nam for nearly forty years I can express openly in my blog. I just have to be careful how graphic I get. Thank you so much for writing me back. I don’t think my dad was in the “field” as it appears you were. From what I can ascertain through the paperwork I do have, he was a Sp5 Transportation Movements Officer 0694. His specialty number was 71N20 and was in Vietnam from 3 Jul 1970 thru 15 Aug 1971. 1 year, 1 month and 13 days. I know I would have always wondered what he would have said if I would have sat down and talked to him about his experience, and in a way you are helping me do that. I would like to say that your ability to be as candid, visual and “graphic” as you are in your blog is commendable. Thank you again. You may have noticed I deleted an earlier comment in regard to your father’s exposure to Agent Orange while in Vietnam. When you didn’t reply, I figured you did not want to discuss it so I deleted the question. Presumptive service connection for disease associated with exposure to certain herbicide agents: AL amyloidosis. Final rule. This document amends the Department of Veterans Affairs (VA) adjudication regulations concerning presumptive service connection for a certain disease based on the most recent National Academy of Sciences (NAS) Institute of Medicine committee report, “Veterans and Agent Orange: Update 2006” (Update 2006). This amendment is necessary to implement a decision of the Secretary of Veterans Affairs that there is a positive association between exposure to herbicides used in the Republic of Vietnam during the Vietnam era and the subsequent development of AL amyloidosis. The intended effect of this amendment is to establish presumptive service connection for AL amyloidosis based on herbicide exposure. In my later years, I have developed a worsening skin condition. I am thinking about getting checked out by the VA for Agent Orange exposure again after nearly forty years. Oh, I didn’t get the other comment notification in my email so that is why you didn’t receive a reply. You can forward to me again if you’d like. Thanks. This is an excellant site. I agree this could be the best therapy there could be. I plan on reading every page. I hope it is okay if I copy a couple of pictures to put on my DVD of Charlie Troop. I will give you credit for them. I will recommend this site to all Charlie troopers. After reading some of your experiences with Charlie Troop Blues, my thirteen months was a cakewalk. Hello, I am doing a paper on the effect of the war on The Vietnamese Economy and another paper on the effect of Agent Orange on Vietnam Veterans. 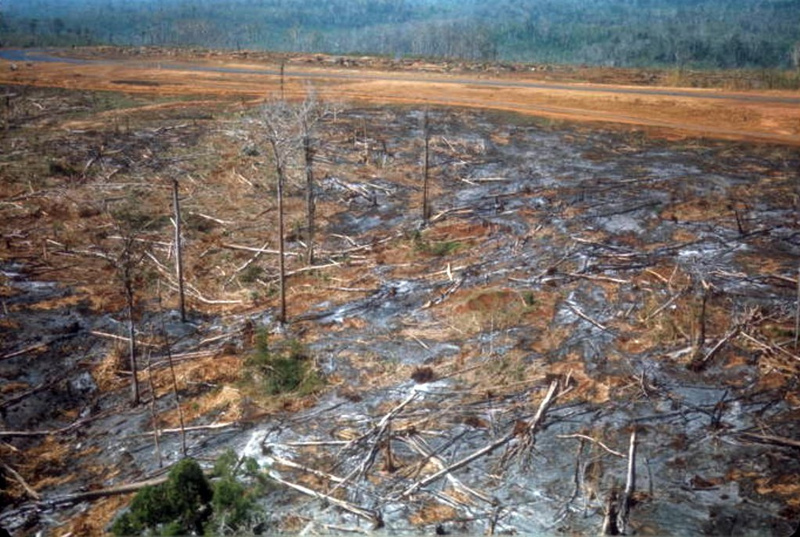 So it would be great if you can please give me some feedback on what you might have to endure because of Agent Orange? For example, did you have any medical problems after the war? Also, I was wondering if all the pictures were taken by you or how did you get some of the pictures? It would be great if you can answer me back!! I would love to be able to talk to an actual Vietnam Veteran!